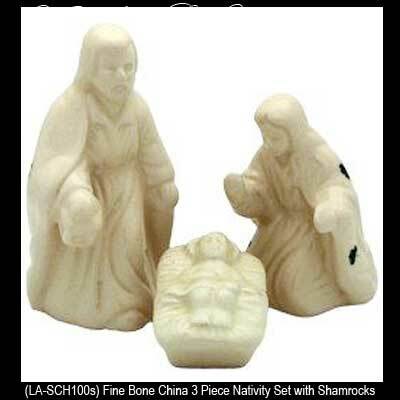 This shamrock nativity is made of fine bone china. This Irish Nativity features a three piece set that is enhanced with tiny green shamrocks. The tallest pieced in the shamrock nativity set stands 4" tall.